Bad news! The lawyer Kathleen Wilson has discovered that her beloved Danny Reed has been arrested under strange circumstances. He’s being accused of murder. In order to free him, she’s going to have to carry out her own investigation. 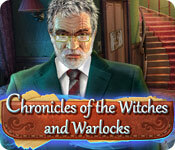 Chronicles of the Witches and Warlocks is rated 3.4 out of 5 by 31. Rated 5 out of 5 by noplawel from This could become a series ! Great mini-games. 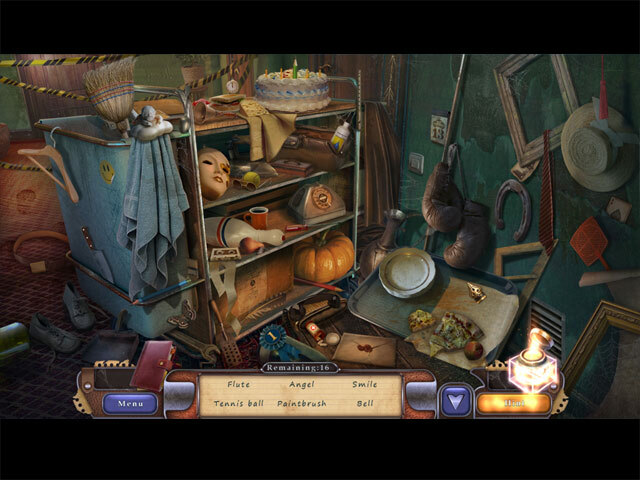 Hidden objects were well done. The story was really good, they could have expanded it into a collectors edition. Rated 5 out of 5 by AdrianaIP from Really fun game I do not recall having so much fun with this kind of game. The narrative flows easily and holds your attention. The HOS are not too difficult, though offer some challenge, so with the minigames. I enjoyed every minute of it. Rated 5 out of 5 by Firehorse66 from Fun game Long for a SE and I loved the different places and I liked the click of the game cursor. Great game for using my free game voucher! I wasn't fond of the hos piles but managed to click my way through, hate those! Other that puzzles were fairly easy but lots to do. Rated 5 out of 5 by rjohn82677 from Chronicles of Witches and Warlocks This game was very good. It was fairly easy to complete. The graphics were very good. The story was interesting. The best part of this gaming experience is that I got it with a "free game" coupon. I have learned that the "free games" that I get are usually so much better than the ones that I have to buy. Free Games are a great feature of having a Big Fish Account. I recommend this game! Rated 5 out of 5 by Gamer543 from Great! I played this game and I had to play it to the very end without stopping. I read some of the other comments - and I did not understand what they said about the story. It was very cleasr, that your brother was suspected for murder and you had to prove his innosnce. The bad guy had an old ancient Indian artefact to steal peoples souls and he was trying to revive his dead daughter. I loved the graphics and the mini games. Voices would have been nice - but the musik is really great for that. I would reccomedn this game. Rated 4 out of 5 by tutortime from Enjoyable game to play. Was not expecting much for some reason, but i liked the game. I think it was the different locations you traveled to in the game that made it interesting. Easy game to plan and it was average in length. Good one for the free game coupon. Rated 4 out of 5 by LunaNik from Conundrum: 4 stars but I can't recommend it. Too many bugs. 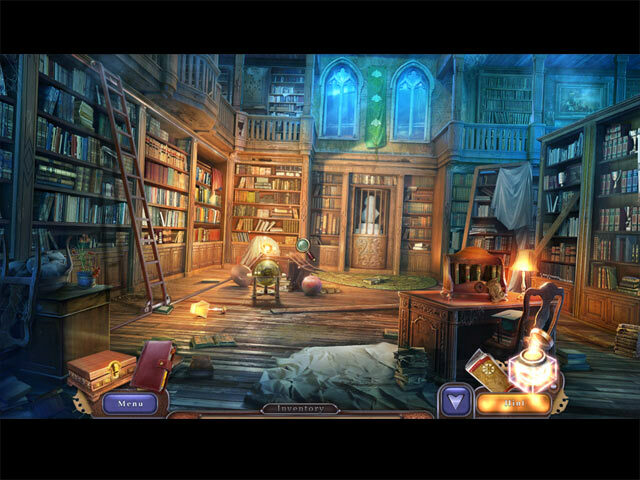 Chronicles of the Witches and Warlocks Review based on completed demo PROLOGUE... I was thrilled to see this game, because I loved Portal of Evil: Stolen Runes, also by this dev, so I was expecting something along those lines. Unfortunately, Chronicles wasn't nearly as sophisticated in its development and, as a whole, it suffered in several areas. ONCE UPON A TIME... You take the role of Attorney Kathleen Wilson, whose lover Danny Reed has been accused of murder. Danny claims innocence, alleging that he was attacked because he'd been searching for ancient totems. As you begin your investigation, you too are attacked, lending credence to Danny's story. Now, you'll have to become a treasure hunter and travel through time to find the totems in order to clear his name. PLAY THE GAME... HO scenes are junk piles with minimally interactive lists, but are generally more difficult than most modern day games which don't even hide the items. You'll spend more time in each HO than you're used to doing, and each gives you a necessary object for your inventory. I found the puzzles to be extremely easy. Some are familiar, some are variations on a theme, and a few are unique. None are difficult. Collect books and swap until you complete the picture on their spines. Rotate two circles of pictures with earth or space themes and swap them until they're on the circle where they belong. Adventure mode is typical. Find keys and shaped items to unlock doors, drawers, cabinets, and boxes. Collect tools to repair or assemble things. Discover clues for your journal. SIGHTSEEING... I loved the graphics and animation. Colors were saturated but not garish jewel tones. Light and shadow were well-represented to created lifelike dimension. And the perspective created just a touch of surrealism. The only missing piece was that the posers could have been animated better. Their movements were robotic and their facial expressions rather monotone. SOUNDBOARD... The music was somewhat repetitive, unlike Portal of Evil. To be honest, that piano theme got to me after awhile. There was a lack of appropriate environmental sounds as well. And there were no voiceovers at all. TOOLBOX... The inventory panel did not lock open...annoying. A journal detailed the story and stored needed clues. The map transported and showed active areas, but didn't indicate areas you were unable to visit. OH BOTHER! Even though there was an update to this game, I found quite a few issues. For example, the puzzle with the Native American statuettes and animals? The solution the game accepted didn't match up with the given clue. Additionally, there were quite a few horrid mistranslations. "Funnel" on the HO list turned out to be a conical oil can. "Ostrich feather" on the list was actually a peacock feather. Things like these really detract from immersion and enjoyment. EPILOGUE... If it weren't for the issues, I'd probably purchase this game. As it stands, I can't recommend it. 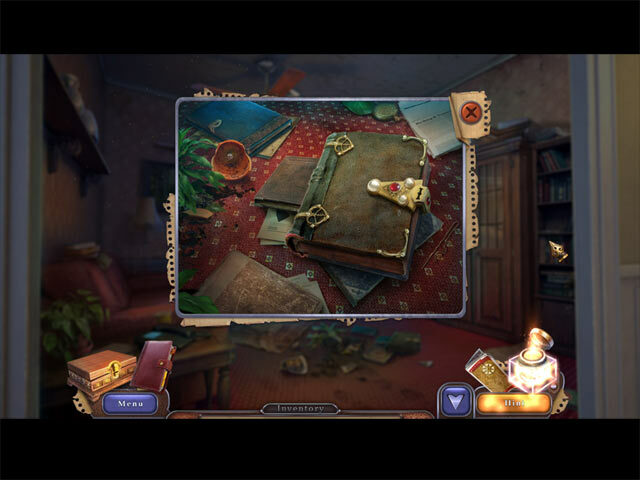 I do highly recommend Portal of Evil: Stolen Runes from this dev, and hope they'll develop more games of that quality. Happy gaming! Rated 4 out of 5 by HappyMommy332 from Sweet Surprise I got this game trying to use up my free game coupons and I was pleasantly surprised...its a hidden gem. the game was pretty easy however it kept my attention to the end and the graphics were good and there is a storyline that makes sense to me anyways..it was quite long for an se. the only downfall for me was there were a lot of hos but they were easy and I managed. im the type that likes other choices rather than hos. I do recommend this game. Kathleen’s beloved Danny has been arrested under strange circumstances and accused of murder. It’s up to Kathleen to hold her own investigation and find out what really happened.